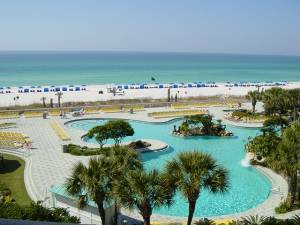 Deluxe 2 Bedroom 2 Bathroom condominium on the 4th floor of Tower One at Edgewater Beach Resort boasts spectacular gulf views over the signature 11,500 square foot Lagoon Pool and 1000 feet of white sand beaches. This newly remodelled unit is fully equipped with everything your family needs for the most memorable vacation of your life. The spacious floor plan offers breathtaking views from Living Room, Dining Room, Kitchen, and the Private Balcony. Amusement Parks, many Championship Golf within 10 miles, Gulf World, and many other attractions. Wake up to this spectacular view of the signature lagoon Pool and the Gulf of Mexico. Newly updated Living Room overlooks the Lagoon Pool and the Gulf of Mexico. Two Large Leather Sofas are the utmost in comfort. Enjoy Elegant Dinners with spectacular sunset views of the Gulf and the Lagoon Pool. 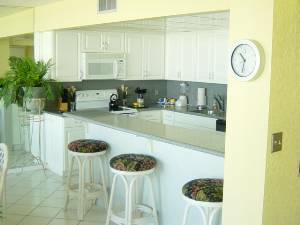 Newly remodelled Kitchen has all appliances and cookware that your family may need to enjoy a great vacation. Newly remodelled Master Bedroom has King Size bed, Large Master bath with Walk-In Shower, Wall mounter TV and DVD Player. 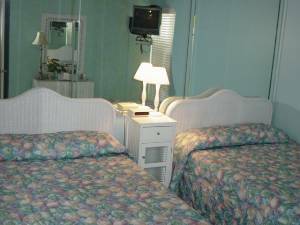 The Guest Bedroom is equipped with two Full Size Beds , Wall mounted TV and DVD player. Adjoining full bath. Early morning view of Gulf while most are still asleep. 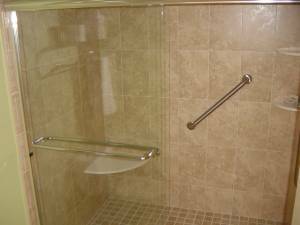 Brand New Walk-In tile shower provides relaxing end to the day's activities on the Gulf. We loved our stay at Bert and Lois' condo. It was clean, spacious, and wonderfully decorated. The facilities at Edgewater Beach are awesome - especially the lagoon pool! The Hansen's were also very helpful prior to our arrival, answering all our questions and making the arrangements for our trip very easy. 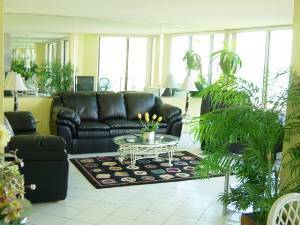 We highly recommend Edgewater Beach and this condo! Bert and Lois are just all round good people. Dealing with them was like dealling with friends. The condo is huge, very clean and all round beautiful. The view of the gulf is sencond to none. They also have all inclusive pricing which is great. What ever they tell you the price is, that's it. No extra taxes or cleaning fees. These condo and these people get our highest recommendation. I just don't see how it could get any better. I just want to say how much we enjoyed staying at your condo and Bert and Lois are such nice people just by talking with them on the phone They make you feel comfortable. 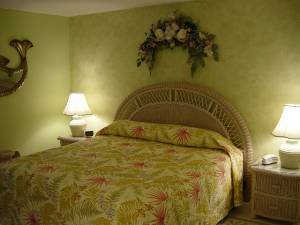 My wife just couldn't stop saying how comfortable and relaxing she felt staying there and how nice it was and how it made you feel right and home and I ditto the same remarks. 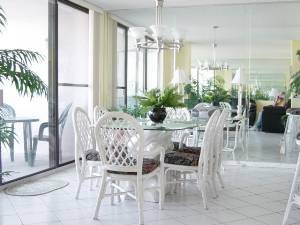 We had a super view, weather was great,ocean was awesome and the resort was just wonderfull had all we needed and them some ( great resturant the Oceans) Our friends visited us and we had a great time with them and they also said how nice of a condo we had. Thanks again we will surely go back we are already taling about it and would love to rent your condo again. This was the first time our family stayed in a condo...it was great. We had a wonderful time and had so much room. The owners are wonderful people. We plan to retun next year!! Thank you so much for sharing your lovely home with us. We have been to Edgewater 5 times and your home is our FAVORITE. We all love the fish mirror. Kitchen was the best stocked also. We cook most of the time we are here and I never lacked for any utensil or appliance. We appreciate the thought and preparation of your unit. Beautiful view, great location, clean home and property. Thanks again. We will definitely be back. P.S. Canopies is GREAT place for awesome food. Best 10 mile drive you will ever take. We had a fantastic time at Edgewater Beach Resort. Thank you for sharing your lovely condo with us. We hope to come back again & again. We had a wonderful vacation at this condo. We were to arrive the same time Hurricane Dennis arrived. The owners were in constant communication with us during our decision to come or not. What ever we decided they told us would be fine with them. If we did not use their condo they would refund our money. If we decided to come they would pro-rate our stay. We decided to go two days later then our check in date and were impressed with the condo. It was beautiful with a terrific view. We would stay there again. Our Stay was a very relaxing and enjoyable one from theminute we walked through the door of your welcoming and "sunny" place. It's obvious that you wish to extend warm hospitality from the specctacular decor & well kept Florida atmosphere within your walls. Our Weather might have been a bit sunnier, but the accomodations certainly could not have been, because we weresurrounded by sunshine ans warmth within the confines of your vacation getaway! If we're ever back in Panama City Beach, we will definitely look you up again. We were looking for a central location that our families could meet at and have a wonderful vacation. I believe that we have found it. Wonderful Hpmey accomodations, Beautiful Weather, and lots of amusements for everyone! We'e already planning next year's vacation. Thank you Mr & Mrs Hansen for your warm, friendly nature and for providing such a beautiful place for us to stay. Terri Evetts, Front Royal VA.
What a super place to "crash in"! So full of happy colors. We hope to be back in 2006. Mike, Mary, Maryjo, & Mike Jr.
Great Condo! Edgewater is the Best! What a great place to celebrate Father's day, our daughter's birthday (11), and my birthday (age=??). 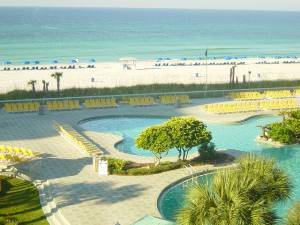 This is our first visit to Panama City Beach and we loved it. We hope to come again and stay at your lovely place. We had a wonderful time, your condo is beautiful. We will hopefully be able to return next year. Your Condo is outstanding and we greatly enjoyed our stay here. We hope to have the opportunity to stay here again soon. Thank you for sharing your wonderful condo with us. We love the views and the convenience of everything. The weather was beautiful and we hope to enjoy it again next year. Thank you for sharing your lovely condo with us. The weather was great! Great View of the Ocean! Our family enjoyed being in Panama City Beach. Thanks again- We plan to come back! Thanks for the use of your beautiful condo. The Edgewater is really nice too. Not the greatest weather this week- but if you have to be stuck inside- it's a beautiful place to be. We had the best condo in Edgewater!! We had the best weather, except for one day of rain, but we're used to it back home. It's our last day and we will miss everything about Panama. We hope to come back next year. Your condo is beautiful. We really enjoyed our stay. This was our first visit here and we loved it. We hope to visit again someday. Your condo was wonderful! We had an awesome time! The view is great and we loved the brightness of everything. We hope to stay here again soon. We had a wonderful weekend. Today (Monday) waas very windy but not bad. We stayed here last year and intend to come back each year. Cancellations and Refunds: Full refund with 30 days notice. 2/3 refund if canceled within 30 days.